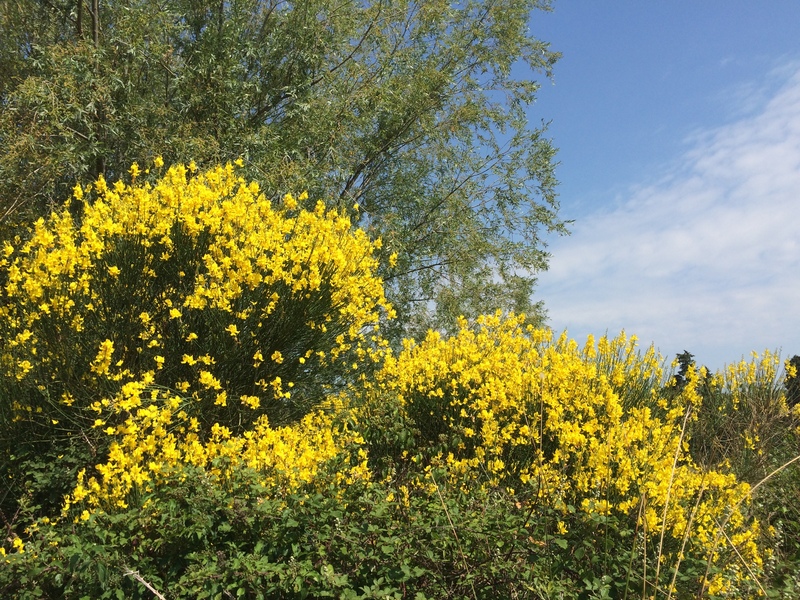 The area around St-Rémy-de-Provence is wonderful for hiking. The Alpilles Mountains are crisscrossed with well-marked trails that offer fabulous views. But let’s face it, who wants to schlep through the mountains on a hot summer day? Isn’t there a better way to stretch your legs and still see beautiful countryside? St-Rémy is surrounded by agriculture—vineyards, olive groves, and fields growing fruits and vegetables of all kinds. 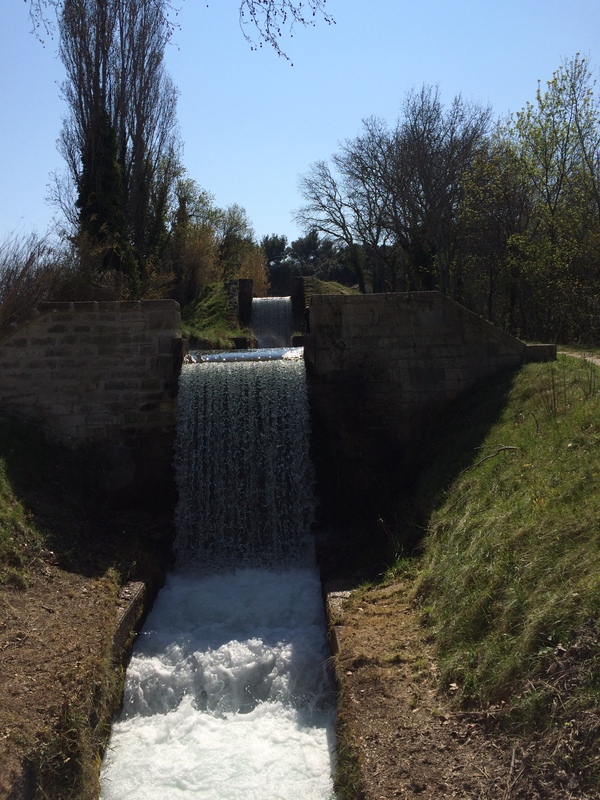 A vast network of canals, built around the main Canal des Alpines, supports it all. This canal and its offshoots are like a bunch of little rivers with pleasant, shady walking paths alongside them. My favorite starting point is from Domaine Milan, a winery just outside of town. 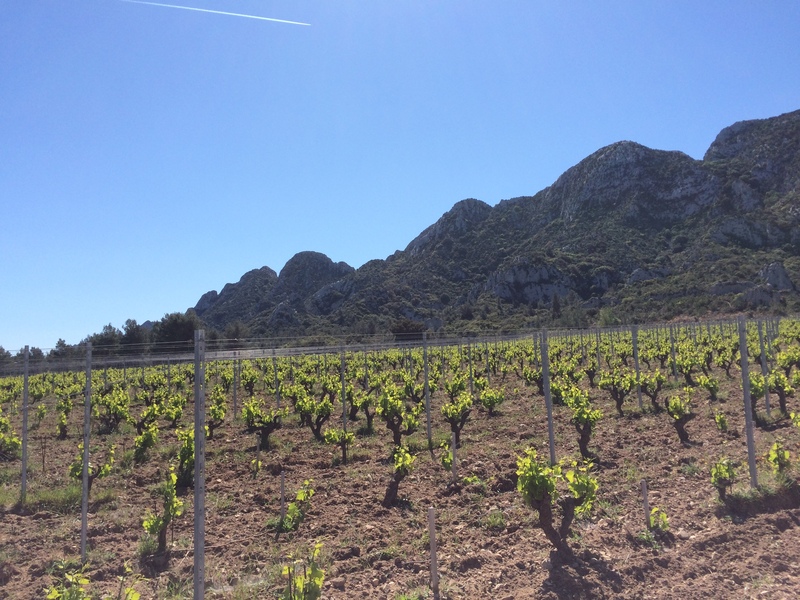 From there you can follow the path to the right and go for miles, with wonderful views of vineyards and the Alpilles beyond. 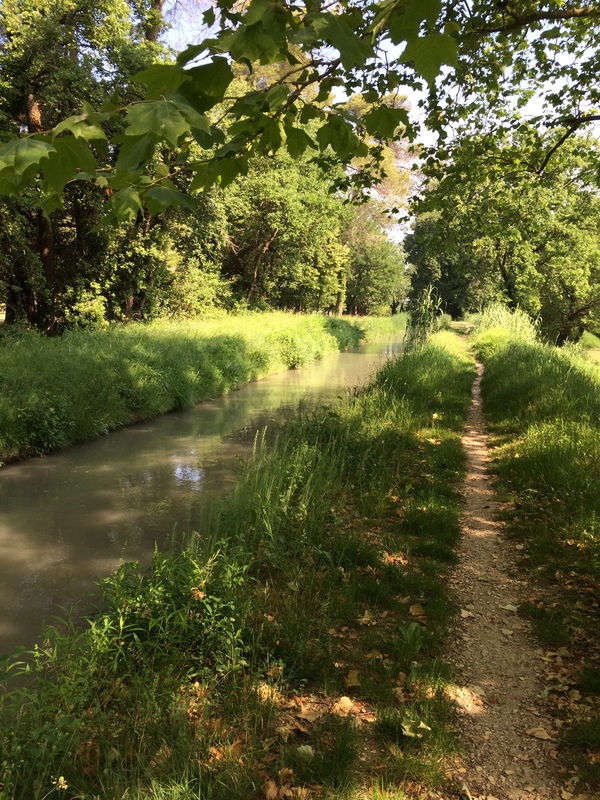 If you instead go left from Domaine Milan, you will quickly come to a place where the canal branches into two. Follow the left fork and you’ll amble towards town, passing bassins full of croaking frogs and the occasional peep into someone’s back yard. If you instead take the fork to the right, you’ll pass a little waterfall as the canal drops down to a lower level. Tourists like to stop here to take pictures of it. 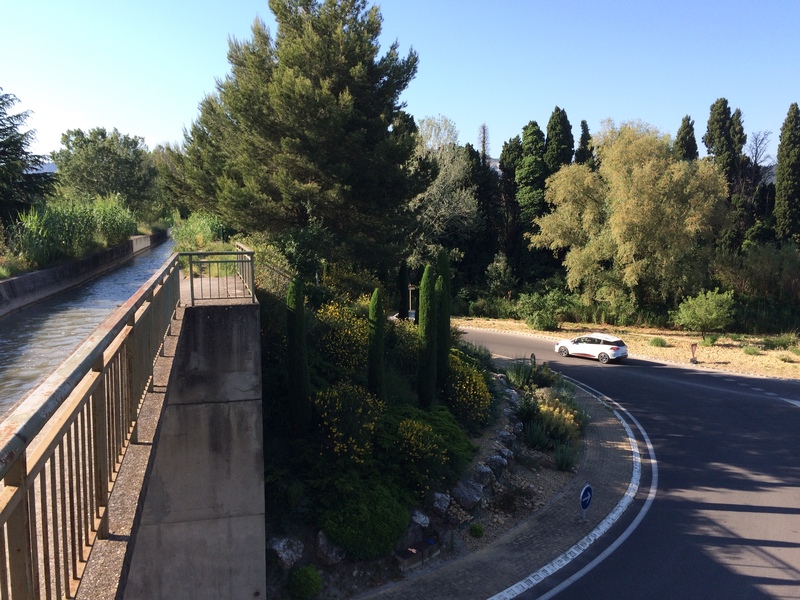 If you continue along this branch of the canal, you’ll soon cross over the main road—what looks like an overpass from below is actually an elevated canal! Continue for a mile or so you will be rewarded with beautiful views down onto St.-Rémy itself. The network of canals extends far beyond St-Rémy, towards Eygalières in the east, St.-Ètienne-du-Grès in the west and towns like Maillane in the north. Check Google Maps to trace their path and find a spot to begin your walk. It’s an unbeatable way to get some cool exercise on a hot day.